Manufacturers worry about productivity taking a hit if some processes, maybe not all, would be moving to cloud. Cloud has yet not proved itself as a very hospitable technology environment for the purpose of designing. Particularly now, it’s more useful for design validation, collaboration, and document management rather than the design itself. Most of this productivity hit would always come down to lag, i.e. the tendencies of Internet speeds and bandwidths to drop in an unpredictable manner and slow down these cloud-based apps. Some latency can surely be tolerated and might not even be noticed in data management. Cloud transition has been indeed helpful in uprising the productivity levels but cloud security came as an aftermath for manufacturers! Perceived cloud security threats after cloud transition are one of the major reasons behind this lagging adoption of cloud by manufacturers. The past several years have always been punctuated with cloud security thefts and data breaches in every few months time, which has confirmed about most people’s misgivings about data security in these cloud-based apps. Still, it is perceived is being overcome finally. It is quite an argument saying that cloud-based work systems are safer than conventional computing methods, rather to point out about most such breaches happening in applications that are using such cloud-based resources including SaaS, and rather more in those firms that rely more on traditional and outdated systems. To explain this otherwise, cloud security concerns are fading away as more and more manufacturers are beginning to leverage their already existing extensive knowledge base about digital data management, and to use services especially designed for cloud, which are beginning to gradually emerge, like CASB solution for cloud security. There is a grave need of cloud security for the manufacturing industry. It is not actually very accurate that most manufacturers are slow in adopting cloud-based systems. 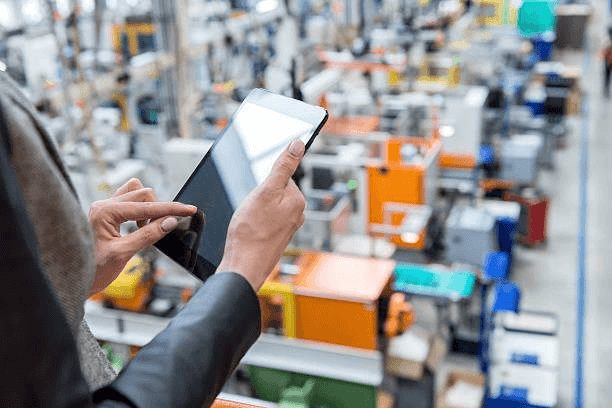 Instead, manufacturers move to cloud is always nuanced, usually recognizing about cloud-based apps as not yet totally appropriate in certain areas, including design, and the need of secure solutions for processes including project management. Most manufacturers today find ways of making use of such mature cloud-based capabilities by using a totally hybrid approach. While most other industries are making a steady march towards the cloud, the manufacturer’s cadre if pursuing such type of a hybrid approach and strategy, while opting for the retention of some of the foundation systems on-premises and earmarking analytics as well as production apps for migrating to this new cloud environment. CASB solutions also have an important role to play in some of these manufacturing groups. Read how a manufacturing giant benefitted greatly from the ultra-useful CloudCodes CASB solution.